Extended LF Response Down To 40Hz With 135dB Max. 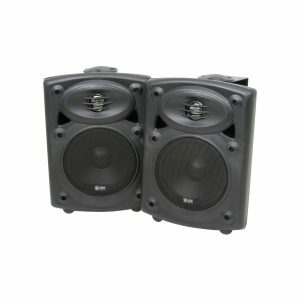 SKU: DXS15 Categories: Latest, Speakers Tags: Active PA Speaker, Active Subwoofer, DXS12 MKII, DXS15, Powered speaker, Speakers, Subwoofer, Yamaha, Yamaha DXS15, Yamaha DXS15 MKII, Yamaha Speakers Brands: Yamaha. 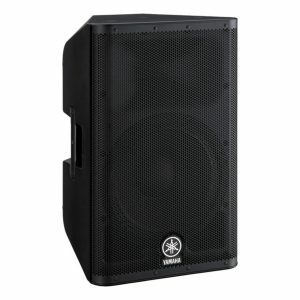 The Yamaha DXS15 MKII 15” Active Subwoofer features a high-output Class-D amplifier with a huge power output of 1020W. 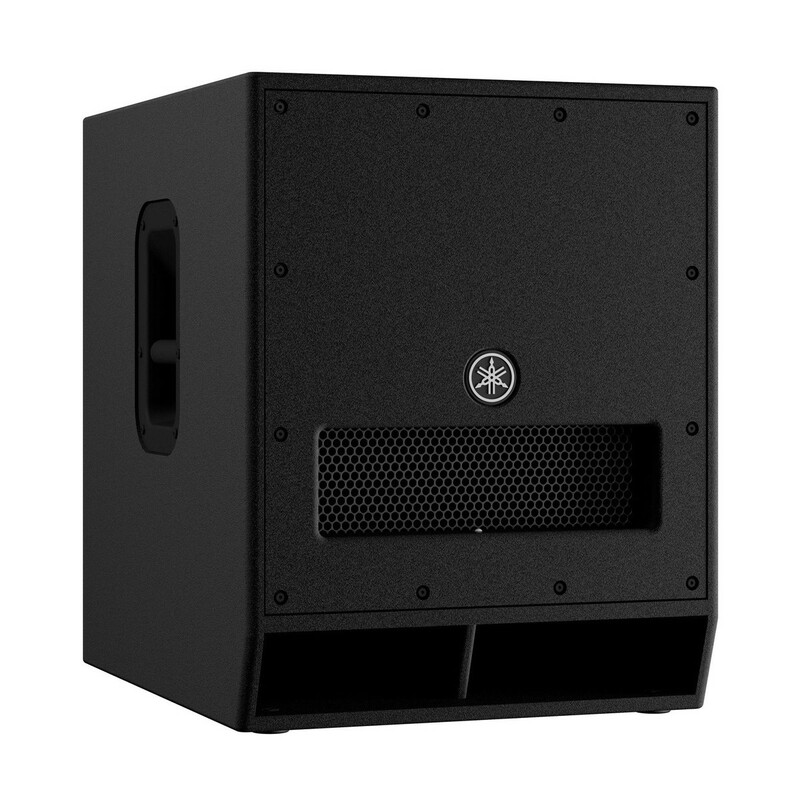 As such, the DXS15 MKII features a marked improvement over its predecessor with the ability to deliver 3dB higher SPL, as well as a 5Hz lower extended LF response. Providing precise low frequency reproduction, the DXS15 MKII ensures exceptional clarity with minimal distortion, whilst the D-XSUB DSP processing gives access to 3 modes for fine-tuning the sound of your subwoofer. 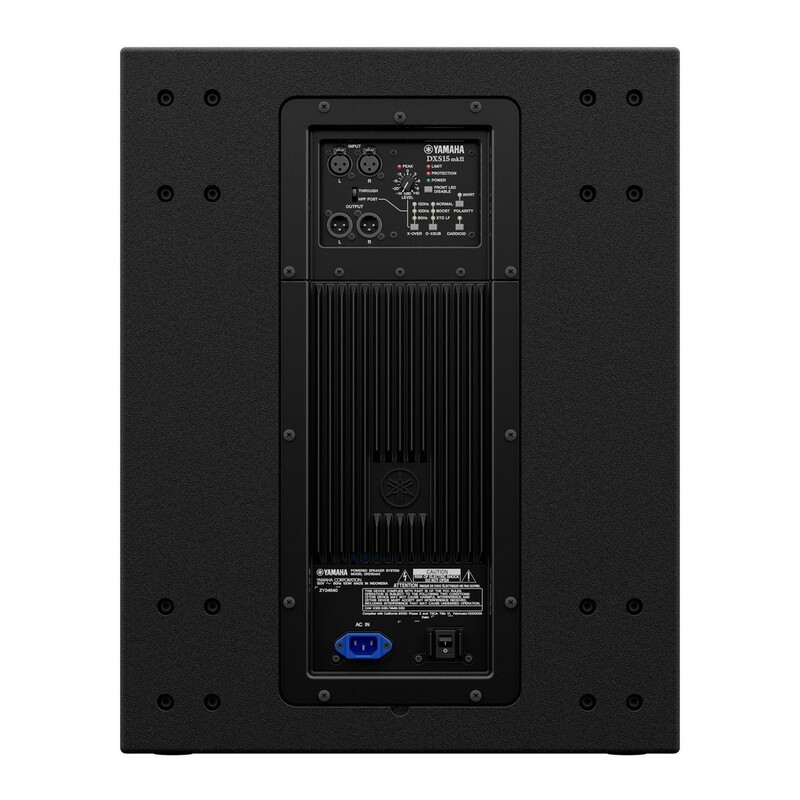 As well as an intuitive DSP processor, the DXS15 MKII also features a Cardiod bass-management function for sub-arrays with a minimum of two subs, as well as a selectable cross-over for perfectly matching up with DSR, DXR, and DBR series speakers. Two pole sockets (1 x M20 and 1 x 35mm) alongside an intuitive amplifier interface and powerful bass reproduction ensure that the DXS15 MKII is perfectly suited to a wide range of applications. With an extended LF response down to 40Hz, the Yamaha DXS15 MKII stretches down an extra 5Hz compared to it’s predecessor, as well as an additional 3dB higher SPL. The DXS15 MKII delivers rich, warm, and balanced low end with minimal distortion at high output levels. 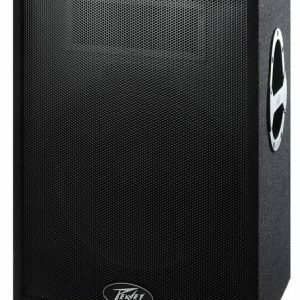 The powerful 15” woofer features a 2.5” voice coil delivering exceptional definition, whilst the selectable cross-over (selectable between 80Hz, 100Hz, and 120Hz) allows you to perfectly match your subwoofer to Yamaha’s DSR, DXR, and DBR series of speakers. Housed inside a band-pass style plywood enclosure, the DXS15 MKII is equipped with a Class-D high-output 1020W amplifier with precision damping. 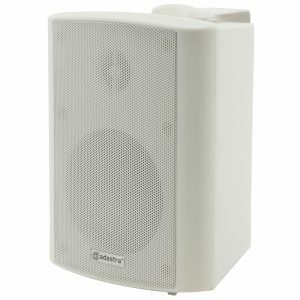 As well as an impressive power output, the unit features a ‘Cardioid’ function, providing you with an intelligent bass management system for subwoofer arrays with a minimum of two subs. The DXS15 MKII also utilises D-XSUB DSP processing with three powerful response modes (NORMAL, BOOST, and XTENDED LF). Packed with an array of intelligent and versatile features, the intuitive design of the DXS15 MKII ensures precise, thunderous bass reproduction and management.